TGIF! APWU is celebrating with cocktails and an assortment of tapas featuring these Basil Ricotta Stuffed Tomatoes. Happy FriYAY!!!! Preheat oven to 400 degrees. Remove the tops from each of the tomatoes and scoop out the contents using a small melon baller. Set up upside down on a paper towel to drain for 30 minutes. Add ricotta, garlic, basil, parmigiana, pesto, oregano, and lemon juice and fold until well combined. 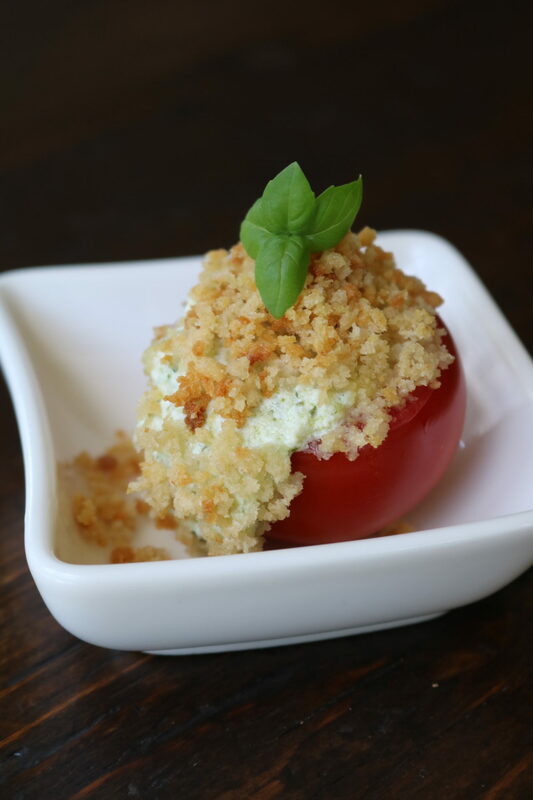 Arrange the tomatoes on a baking sheet and fill each one with the ricotta mixture. Melt the butter in the microwave and pour over the breadcrumbs stirring until evenly coated. 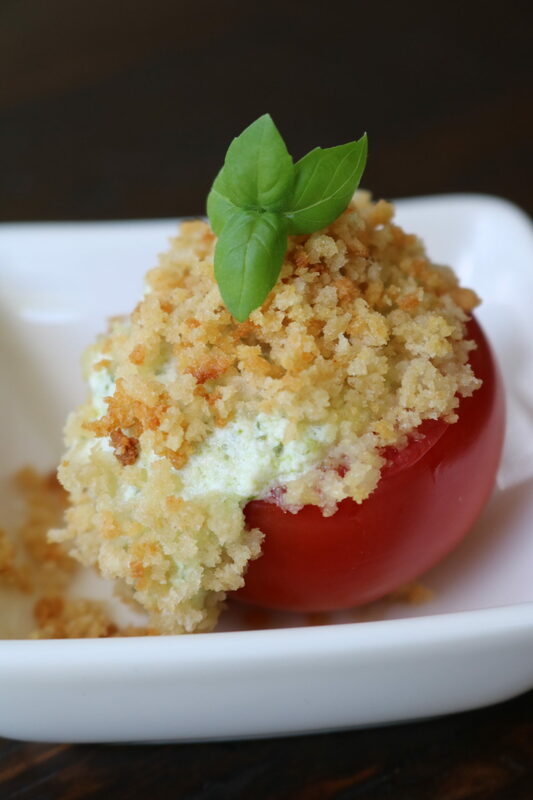 Top each of the tomatoes with the buttered bread crumbs. Bake for 18-20 minutes until golden brown and warmed through. Reducing the heat if they begin to brown too quickly. Garnish the with additional basil. Serve immediately. Enjoy!